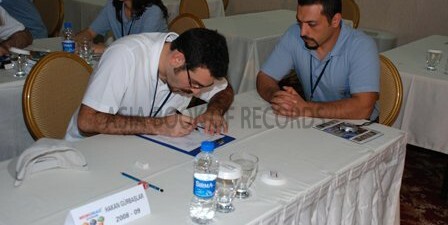 Hakan Gürbaşlar (Turkey) calculated the square roots of ten six digit numbers in 4 minutes and 55 seconds, on December 17, 2011, in Ankara, Turkey. All the results were correct to the 8 digits. Comments for MOST SQUARE ROOTS CALCULATED are now closed.